Today, we are beginning a culinary journey to the land of fairy tales, a royal country full of castles, mansions and beautiful gardens, the country of Hans Christian Andersen’s Tales! I am of course talking about Denmark! We invited ourselves to Denmark to celebrate Store Bededag, literally Great Prayer Day. 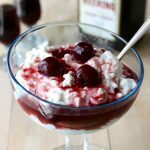 Store Bededag is a festival that is only celebrated in Denmark on the 4th Friday after Easter Sunday, that is to say no earlier than April 17 and no later than May 21. That day was decreed by royal edict presented by Bishop Hans Bagger Roskilde in 1686 in order to replace several smaller festivals, fasts, and days of prayer. It is now a holiday in Denmark. It is actually one of the few holidays that survived the great Danish reform in 1771 under the reign of Christian VII, when his Prime Minister, Count Johann Friedrich Struensee, declared this day as an alternative to celebrate on a single day a number of public holidays already honoring various saints. This festival is announced by the ringing of bells and the walk on the bastions, Christianshavn, especially to hear the bells. It has become a traditional holiday in Copenhagen since 1747, the date when the Church of Our Lady (Vor Frue Kirke) was equipped with a new carillon. At the time, all the workers and shops halted, inns and taverns closed and the church bells rang throughout the country. 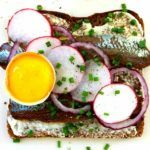 The recipe that I am sharing today, varme hveder, is undoubtedly THE recipe associated with Store Bededag as much as the galette des rois (King Cake) is associated with Epiphany in France or pumpkin pie is linked to Halloween in the United States. Varme hveder literally means small warm wheat buns. Why small warm wheat buns on that day? 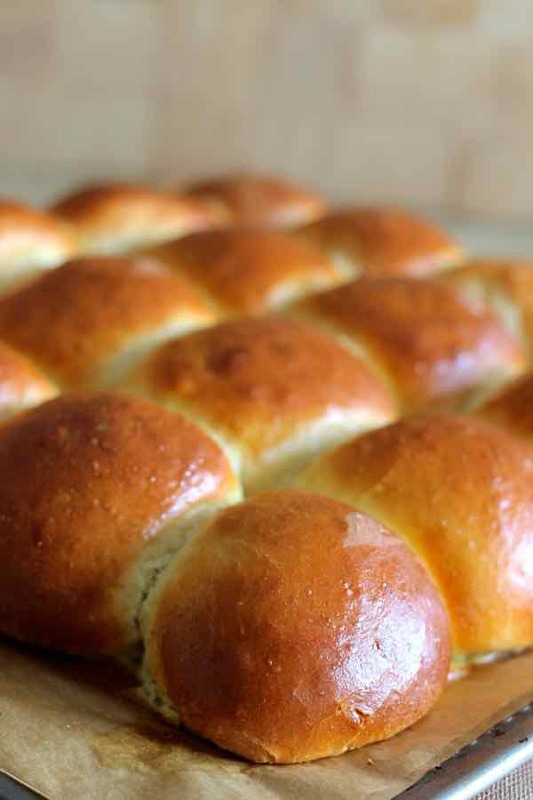 The law stipulated that any activity was prohibited during the day of Store Bededag, so bakers started to make rolls that could be heated up or toasted the next day. Gradually, the custom of buying and eating these hot buns the day before and on the day of Store Bededag spread throughout the country. 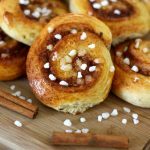 In Denmark, they are called buns and they are eaten hot with sweet and savory toppings. 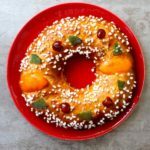 Personally, I have tried both and I much preferred the breakfast version with sweet toppings which reminded me of saffron and cardamom flavored lussekater from Sweden that Mike had prepared when we celebrated St. Lucia. 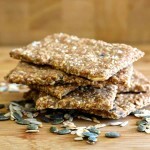 I had made Mike’s recipe shortly after him and I remember he loved them. This is not my first brioche recipe on 196 flavors. 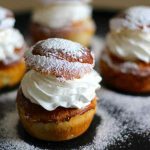 Mannala or tarte tropezienne from France, kringel from Estonia or pasca from Moldova are just a sample of my favorite brioche recipes. However, I must admit that these small warm and soft varme hveder topped them all! Happy and festive Store Bededag to all our Danish friends! 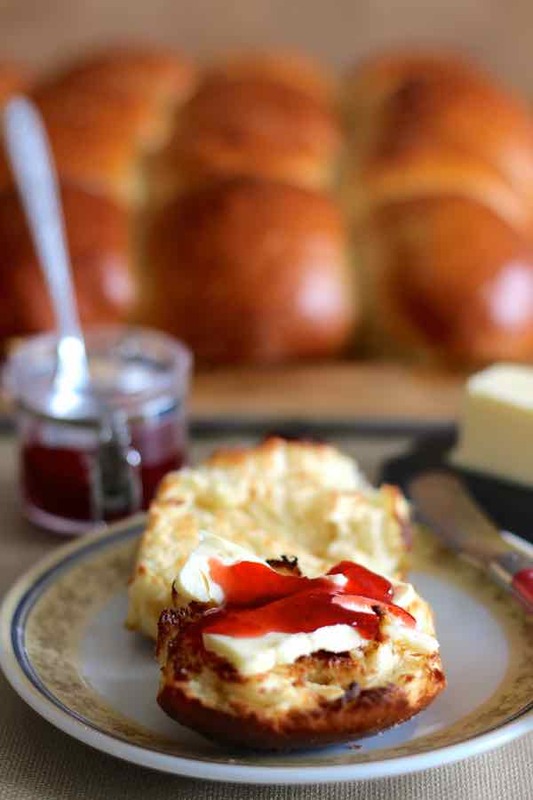 Varme hveder are small brioche buns prepared in Denmark during the Store Bedegag holiday that are eaten warm with savory or sweet toppings. Divide the dough into 16 pieces and form balls. Place each ball very close to one another without sticking. Cover and let rise again for about 30 minutes. Preheat convection oven to 400 F. Mix the egg yolk and milk and brush the rolls. Bake for 15 minutes. For a more aesthetic end result, I suggest to place the rolls within a rectangular pastry frame. 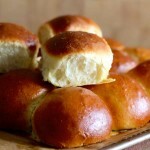 These buns are eaten hot or toasted, with cold butter or plain, onion or garlic and herbs spreadable cheese. I thought 3 T seemed like a lot of yeast, and it never dissolved in the milk. Second time iut I used just one packet and they came out perfectly. I also used regular granulated sugar, rather than powdered, and freshly ground cardamom. Delicious! Hey Danielle, thanks a lot for your comment. So, first, the sugar is an oversight in my translation, which I corrected. Regarding the yeast, it is indeed closer to 2 tablespoons. I updated the recipe accordingly. 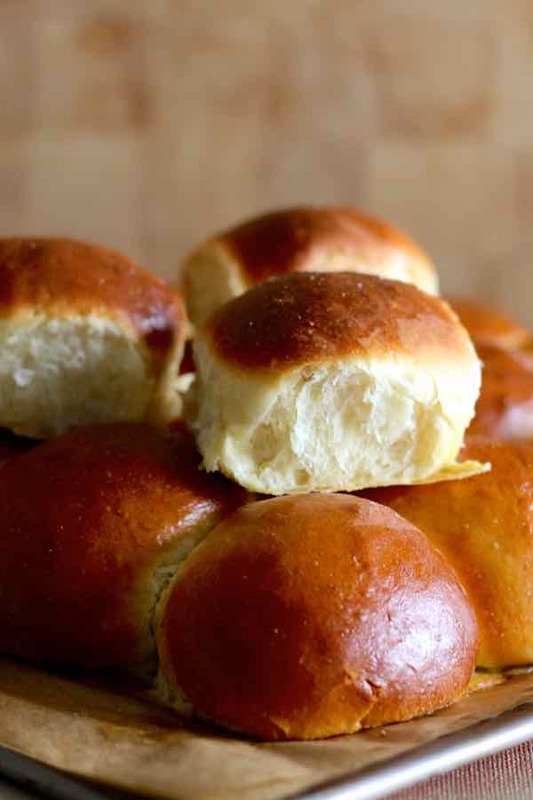 Keep in mind brioches typically use more yeast than typical breads. Glad they came out great though! Thanks again.